Investigators suspect that driver error, most likely speed or impairment, caused a fatal single car crash in Wesley Chapel. The wreck happened near the intersection of Foxwood Boulevard and Chancy Road. According to police and witnesses, a 22-year-old woman may have been impaired when she lost control of her vehicle as it went around a curve. Her Mazda left the road and slammed into a tree. Her passenger did not survive his serious injuries. Florida Highway Patrol officials say they are continuing the investigation and may file charges against the driver. Excessive velocity is a factor in about a third of the fatal car wrecks in Florida. These types of collisions are especially common near curves. Many times, a speeding driver over-accelerates when approaching a turn, and then over-corrects. That reaction often causes a loss of control. Overall, speed increases the risk of a collision and also increases the injuries in that collision. Speed multiplies stopping distance. It takes most drivers less than two seconds to see a hazard ahead, move their feet to the brake pedal from the accelerator, and safely stop their vehicles. In that brief window of time, most vehicles travel about six car lengths if they are travelling 30mph. At 60mph, stopping distance triples to eighteen car lengths. Other factors may increase stopping distance even further. These factors include limited visibility, vehicle weight, or poor road conditions. Furthermore, velocity multiplies the force in a collision. That’s especially relevant to car crash injuries like whiplash. Usually, excessive force, and not a trauma impact, causes this serious head and neck injury. Additionally, excessive velocity transforms loose objects in the passenger area, like cellphones, into high-speed projectiles. Alcohol is also a factor in about a third of the fatal car wrecks in Tampa. This substance impairs both judgement ability and motor skills. Victim/plaintiffs may use either direct or circumstantial evidence of impairment to establish liability in these claims. That violation substantially caused the victim/plaintiff’s injuries. In other cases, such as a moving traffic violation, negligence per se may only be a presumption of liability as opposed to absolute proof. In civil court, victim/plaintiffs must only prove impairment by a preponderance of the evidence (more likely than not). So, in some cases, proof that the tortfeasor just came from a bar or restaurant which serves alcohol may be sufficient to establish impairment in these cases. The bar, restaurant, or other commercial alcohol provider may also be liable for damages under Florida’s dram shop law. The victim/plaintiff must either establish that the tortfeasor was under 21 or that the provider knew the tortfeasor was habitually addicted to alcohol. Driver negligence causes most roadway fatalities. 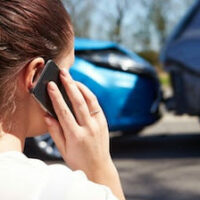 For a free consultation with an experienced car accident attorney in Tampa, contact The Matassini Law Firm, P.A. We routinely handle matters in Hillsborough County and nearby jurisdictions.